While visiting New York, keep a night or two away for Boston. And if you have watched The Social Network, yes it is quite the hub of buzzing brains. The university town that will want to make you go back to books and do a course, even if you have shirked books all your life. It has lively markets with crazy hang out joints, livelier squares, beautiful museums and pretty parks with a generous helping of talented musicians doing their thing. 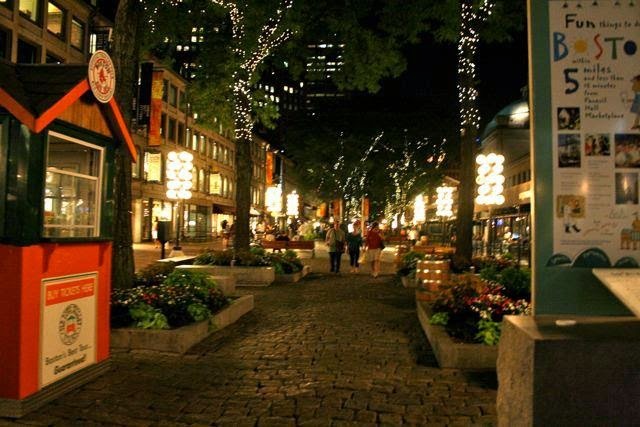 Harvard square in the night is a must do. The buzz around the place is a high. A walk around the Harvard campus will play with your imagination throwing up images from Erich Segal’s Love Story. Sitting around the Charles river, you might just catch a practice for a rowing competition. And the visit is incomplete without vising the John. 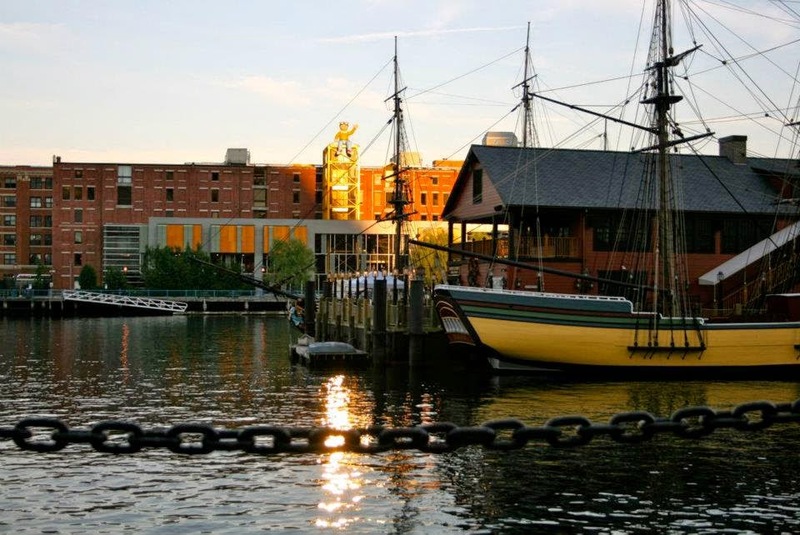 F. Kennedy Presidential Library and Museum, and the very famous Boston Tea Party Ships & Museum. While the first one is a very up close and personal peek into JKF and Jacqueline Kennedy’s romance, challenges, and everyday life, the other is a delightful time machine, bringing alive events that changed the course of American History. And on one hand, while this funky erudite city is a perfect platform and docking station for academic passions, on the other, it is quite the cup- cake land. There are little and big cup- cake shops strewn across the city, feeding away all kinds of frosted fantasies. In one word, this city is delightful. Take that train from London and in just a couple of hours you will be in Harry Potter land. Another university town, but with a feel so very different. It is almost magical in its charm and regal in its attitude. This place is a delight for an architecture observer. A walk-around will open up ancient churches, lovely libraries, and beautiful structures just tucked away in corners waiting to be discovered. 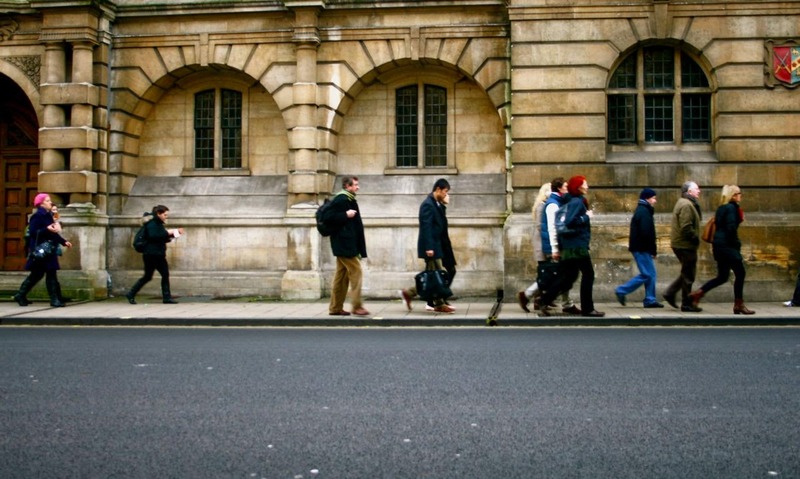 And it is not just Hogwarts you will feel you are walking around in, while in the many Oxford University buildings. But the place is strewn with book fantasies. 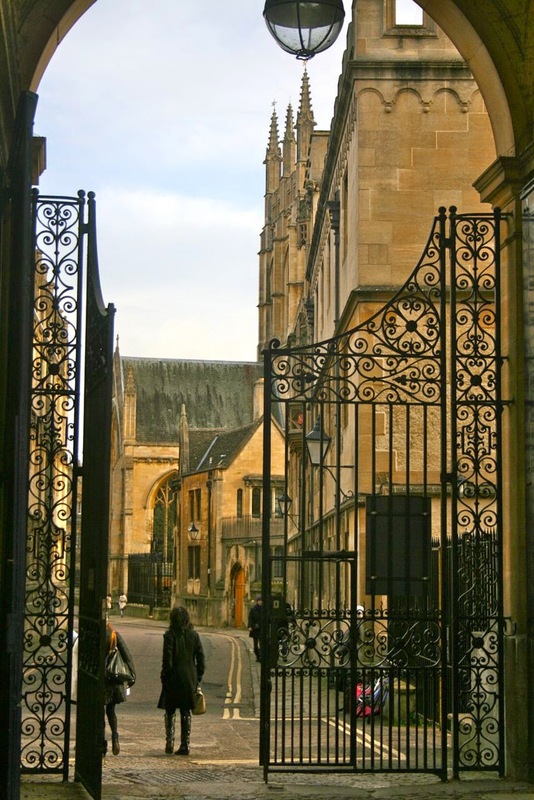 Oxford is also the birth place of Alice in Wonderland and many inspirations for the stories came from this place. In fact, the main market square has the original The Alice’s Shop – the authentic Alice in Wonderland Shop that found it’s mention 150 years ago in Lewis Carroll’s Through the Looking-Glass. And today the shop is a Victorian treasure trove of Alice in Wonderland gifts and memorabilia. Two days and one night is totally worth it in this magical little town. While in Paris, take a day off and head out to the extraordinary abbey of Mont. St. Michel. 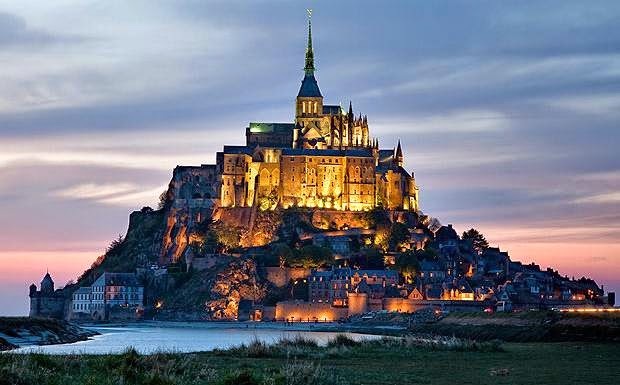 A tiny island near the frontier between Brittany and Normandy, that has stood there for well over a thousand years. The Gothic church perched on top of the hill makes quite the first impression,when one can see it from a distance. And once inside the fortress, while making your way up to the top, you will feel you stepped into a very different kind of history. The medieval ages. The view from the top is breathtaking. With land water and sky merging effortlessly. And while you take time out to visit this place, don’t rush back to Paris. Stay a little, or just a day, in and around. You can stay in the capital of Britanny- Rennes, a lively little town, just an hour away. But I would suggest, put in another hour and stay in Rouen, the capital of upper Normandy. A very ancient town that saw the execution of Joan of Arc and was almost entirely rebuilt post World war 2. Among the many attractions in this town, The Cathedrale Notre Dame de Rouen is a splendid Gothic structure, with an even more breathtaking laser show depicting the life of Joan of Arc and the famous painter Claude Monet. 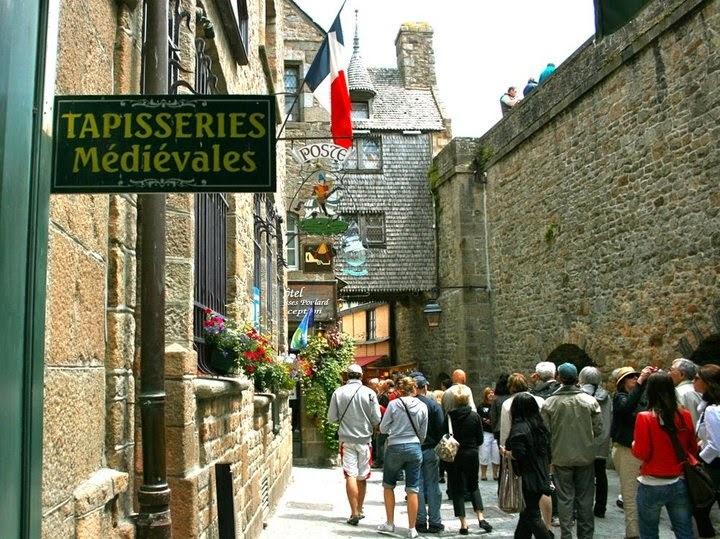 So step out of Paris, and step into medieval France, if just for a day or two. I went there for just a couple of days, and went back to Vienna [ Austria] feeling I could have done another week there. It is a small [ only when you compare it to the sprawling Vienna] boutique town. With beautiful cobbled streets in its old town, and hopping busy city square in its modern side. It is the headquarters for Red Bull [ the energy drink]. It is the childhood town of Mozart[ birthplace of the famous musician]. 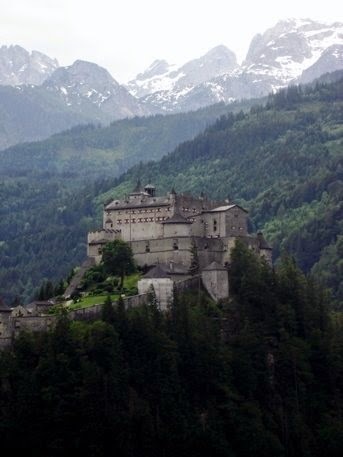 It is the backdrop to the famous musical Sound of Music. So it is, by nature, plentiful. If you stay at the right place here, you can wake up to the beautiful view of the Austrian alps. One of the best places to stay is on the border of old and new town, near the river. Best of both worlds will be just a walk away. Since Salzburg is located close to the German border, you will find lots of boundary hoppers hanging around in the pubs at night. A short ride away, on a high hill is the Eagle’s nest- Hitler’s retreat turned to a watch place, while he kept an eye on Austria. And another short ride away, into the Austrian alps was my dream come true. The ice caves. One of the oldest and largest. Full of giant stalagmites and stalactites. A walk inside the ice caves was straight out of an Enid Blyton adventure, a feeling difficult to capture through words or pictures. 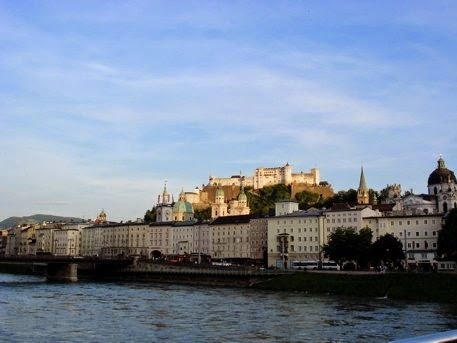 The whole Salzburg package for me was so much more than the city of Vienna could have ever given. Bavarian and mesmerizing. Ok, Istanbul is magical. And pretty much the melting pot of many settlements and cultures. Which is why you will feel a little greedy to let go of even a few days from this city and try to max it. But a short flight away, the land of the chimney fairies await you. Cappadocia. Or Kapadokya as the locals call it. A natural wonder and a must do for people who love road trips. Hire a bike, ATV or an open jeep, hit the road. and get prepared to be hit by sights that one would think were only possible in pop up books or in Lord of the Rings series. 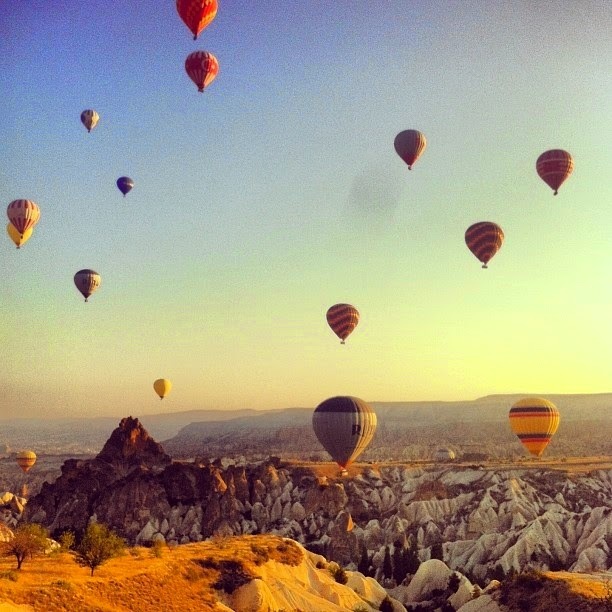 Stay in a cave house, do the morning balloon ride, visit the Haman and the tiny towns of Cappadocia next to each other. Make it to the underground city and see how people lived for months, in the face of invasion. And shop. Because you will get the same things that you get in Istanbul’s grand bazaar but a lot cheaper. 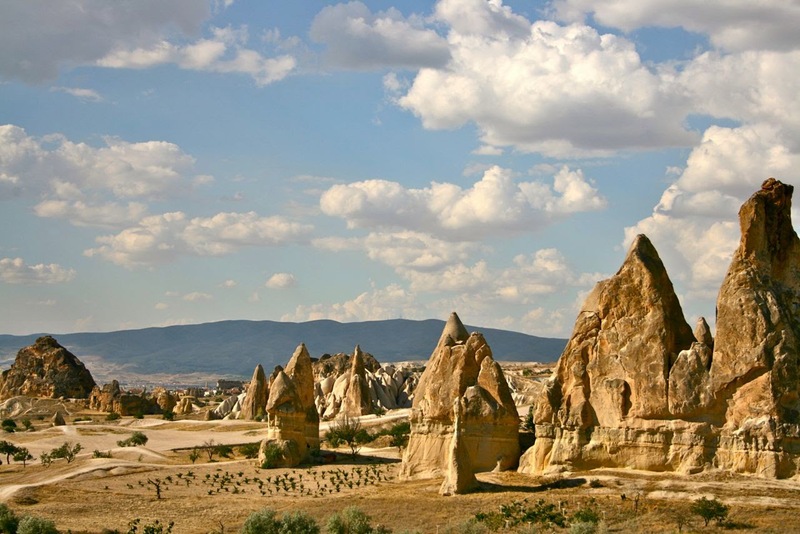 I stayed in Goreme town, full of fairy chimneys and cave houses. Close to all the natural wonders. But Avanos, a short bike ride away, is also a good place to eat, shop and hang out in the night. So step out of busy Istanbul and get this dose of surreal. Now I want to go to all these places!